KYIV, UKRAINE - JULY, 2015: Skydiver is making rotation. Accelerated free fall (AFF course) lessons in drop zone Chayka, Kyiv region. hd00:11KYIV, UKRAINE - MAY, 2015: Skydiver in free fall opening parachute in an accelerated free fall (AFF course) lessons in drop zone Chayka, Kyiv region. hd00:15KYIV, UKRAINE - MAY, 2015: Skydiver spinning and flipping in the air. 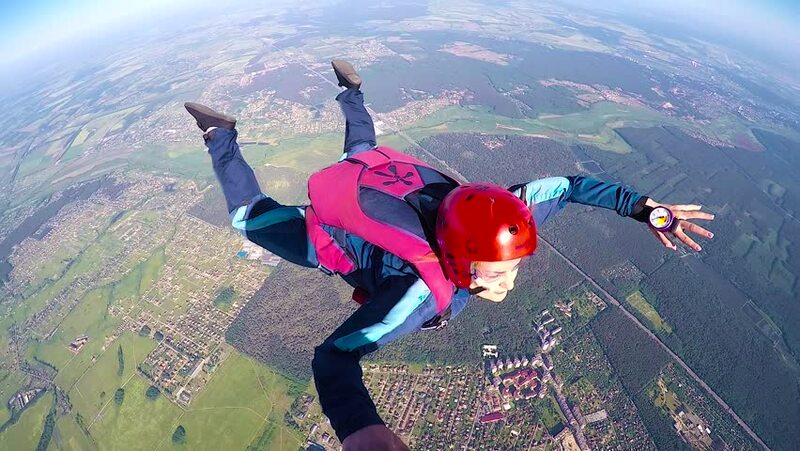 Accelerated free fall (AFF course) lessons in drop zone Chayka, Kyiv region.